If you are looking for a different building called Tenement, please see the disambiguation page. 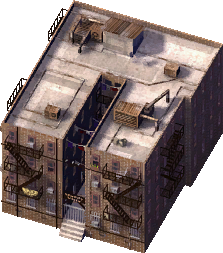 Tenement is Low-Wealth Residential Building that grows on only Medium and High Density Residential zones. This page was last modified on 18 June 2014, at 11:41.